More than 2,100 national political advisers wrapped up their annual meeting on Wednesday in Beijing with more attention devoted to the country's economic and social issues. President Xi Jinping and other leaders attended the closing meeting of the second session of the 13th National Committee of the Chinese People's Political Consultative Conference in Beijing on Wednesday. Wang Yang, chairman of the 13th CPPCC National Committee, called on members to better serve as consultants to the government, including legislative and judicial organs, to support the development of the country. During the second session of the 13th CPPCC National Committee, political advisers submitted 5,113 proposals, covering a wide range of topics that included economics, politics, culture, social development and environmental protection, officials said. Among them, 3,859 were formally filed and will be forwarded to relevant authorities for handling. This year, economic issues and social affairs drew more attention from the political advisers during the two sessions, with 1,484 proposals and 1,336 proposals falling in the two categories respectively, officials said. Some of the typical proposals on economic issues dealt with such matters as preventing financial risks, supporting the private economy, developing a high-quality manufacturing sector and shoring up market confidence. Proposals on social issues included promoting employment, bolstering vocational and preschool education and better caring for elderly people. 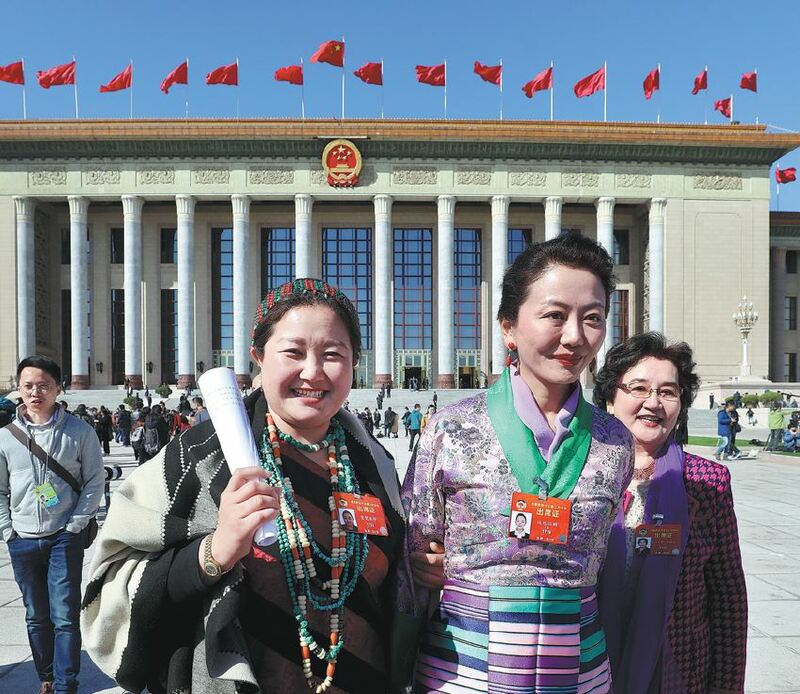 Cao A'min, a CPPCC National Committee member, said the focus on the economy and employment this year is highly appreciated given the current economic challenges from home and abroad. At the closing meeting, Wang, the top political adviser, called on all CPPCC members to strengthen their learning and education to improve their capabilities in performing their duty. This year marks the 70th anniversary of the founding of the People's Republic of China and the CPPCC, he said, adding that socialism with Chinese characteristics has entered a new era and the CPPCC is shouldering more responsibility. "All the members should remain conscientious and hardworking, and bravely take responsibility," he said. "There are no honorary members, only responsible members." Political adviser He Yun'ao, from Jiangsu province, said this year's session was busy and substantial. "I got up early and got to sleep late to read more material so as to improve my proposals," he said. "The meeting was over, but Chairman Wang has given us many assignments. I will do more surveys and study this year and bring better proposals next year."